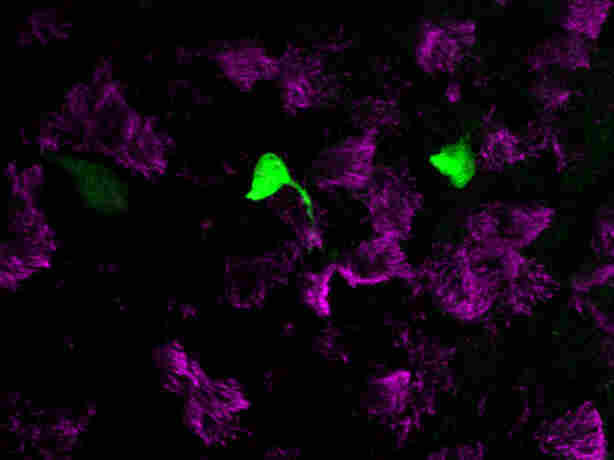 'Human Cell Atlas' Helps Scientists Trace Building Blocks Of Disease : Shots - Health News Already the project has revealed a previously unknown type of cell in the windpipe that might play a role in cystic fibrosis — and lead to a new treatment, scientists say. Aviv Regev, a core member of the Broad Institute, is leading the international Human Cell Atlas Consortium. If you flip open a biology textbook or do a quick search on Google, you'll quickly learn that there are a few hundred types of cells in the human body. 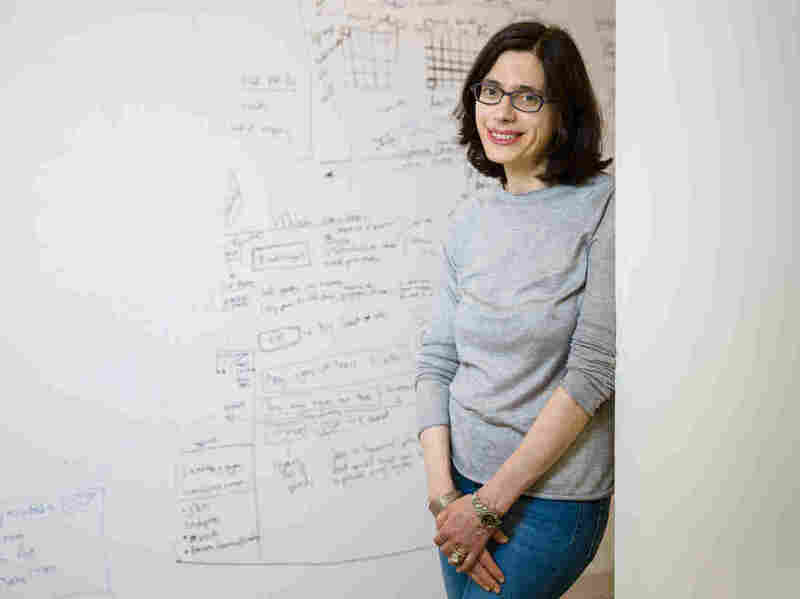 "And it's true, because in broad categories, a few hundred is a good characterization," says Aviv Regev, a core member of the Broad Institute, a genetics research center in Cambridge, Mass. But look a little closer, as Regev has been doing, and a far more complicated picture emerges. "No one really knows how many there will be," she says. Immunologists had already counted more than 300 in the immune system alone. The eye's retina, other research showed, has more than 100. How many in the whole body? Regev won't even try to predict. "People guess anything from the thousands to the tens of thousands. I'm not guessing," she says. "I would rather actually get the measurements done and have a precise answer." For the last two years Regev, a professor of biology at MIT, has been co-leading a massive international effort to get that answer. Called the Human Cell Atlas Consortium, the effort aims to account for and better understand every cell type and sub-type, and how they interact. The Human Cell Atlas has received less attention than the $3 billion Human Genome Project, which was completed in 2003 after 15 years of work. But it's equally ambitious. Regev's co-chair, Sarah Teichmann, uses Legos as a metaphor for their quest. "It's kind of like we're trying to find out what are all the different colors of Lego building blocks that we have in our bodies," Teichmann says. "We're trying to find out how those building blocks — how those Lego parts — fit together in three dimensions within each tissue." Looking at all those building blocks, Teichmann and Regev say, will offer many new insights into how the body works and what goes wrong in disease. Regev and colleagues at Massachusetts General Hospital published their first major Human Cell Atlas finding earlier this month in the journal Nature. Working first in mice and then human tissue, they discovered that the lining of the windpipe — the tube that connects the throat and lungs — has seven cell types instead of the expected six. And that new type of cell could prove crucial for understanding and eventually developing a cure for cystic fibrosis. Researchers had believed that the disease was caused by a faulty protein made by a common cell in the windpipe's lining. But instead, the Broad-MGH team discovered that the bad protein is made in this rare, seventh cell type, which they named a pulmonary ionocyte. The difference sounds small, but it could save years of wasted research effort trying to repair the wrong cell. "It sort of changes the problem," says Dr. Jay Rajagopal of MGH and the Harvard Stem Cell Institute, who helped lead the windpipe work. Another team of researchers, led by Allon Klein from Harvard Medical School and Aron B. Jaffe from the Novartis Institutes for BioMedical Research in Cambridge, confirmed the finding in a separate Nature paper. Even without knowing about this seventh cell type, scientists have been able to develop drugs that have given cystic fibrosis patients hope of living into middle age. "The progress has been amazing," Rajagopal says. Newly identified, rare pulmonary ionocytes (green) dot the landscape of ciliated cells (magenta) of the mouse lung airway lining. However, while the drugs treat the disease they can't cure it. A cure, Rajagopal says, will require targeting the precise cell where the faulty protein is made. "Now that we have this new piece of the puzzle I think it will direct research that much more," he says. In another new paper related to the atlas, British researchers reported Friday in the journal Science that kidney cancer in children starts in different cell types than kidney cancer in adults. One of the technological advances that enabled the Human Cell Atlas came in 2014, when Regev and colleagues at Harvard — Steve McCarroll and David Weitz — made improvements to a technology called single-cell RNA sequencing, which reads the RNA in each cell to see which genes are active and identifies different cell types. "All of a sudden, we moved from something that was very laborious and we could do maybe a few dozen or a few hundred, to something where we could do many, many thousands in a 15- to 20-minute experiment," Regev says. "We said, 'That's at the right scale that we could actually do the human body.' "
Regev and Teichmann, head of cellular genetics at the Wellcome Sanger Institute in the United Kingdom, formed the Human Cell Atlas Consortium in late 2016. The consortium includes 500 scientists from around the world; projects related to the Human Cell Atlas have received $200 million from the National Institutes of Health. Regev says she got interested in the project because human cells are so fascinating. As soon as she realized she could feasibly count and analyze them, she wanted to dig in. "There is nothing more remarkable than the cell," she says. "It's the basic unit of life. It cannot be reduced to anything simpler — not the DNA, not the genes. It's this phenomenal entity that knows how to take many different pieces of information, make very quick and sophisticated decisions, act on them and continue on its way." Rajagopal says he's also excited to learn more about how cells "talk" with each other. "I tend to think of cell tissues really as, like, societies — where cells are the individuals and there's a lot of communication from one cell to another, and some cells are sensing the environment and then sending signals to their neighbors," he says. Technological advances are allowing the cell atlas researchers to eavesdrop on this "conversation" for the first time. Making the atlas won't solve every problem in medicine, just as having the entire map of the human genome from the Human Genome Project didn't fix everything. But, Regev says, it's a good place to start. "We knew the lessons from the Human Genome Project were [that] rallying together the entire community would really let you get a full answer to a question. And that full answer will empower everyone to do better and faster and higher-resolution biology," she says. Teichmann, who specializes in immunology, says she expects the cell atlas will take another five to 10 years to complete. But she sees possibilities for improving treatments for diseases – asthma, perhaps, or cancer. "There is huge potential — huge potential," she says. "You know there are very clear things that we can learn by drilling down to the single cell level in those diseases." This story originally ran on WBUR's Common Health. Karen Weintraub is a Common Health contributing writer.